Aclaris Therapeutics Inc (NASDAQ:ACRS) was in 12 hedge funds’ portfolios at the end of the third quarter of 2016. ACRS investors should pay attention to an increase in hedge fund interest in recent months. 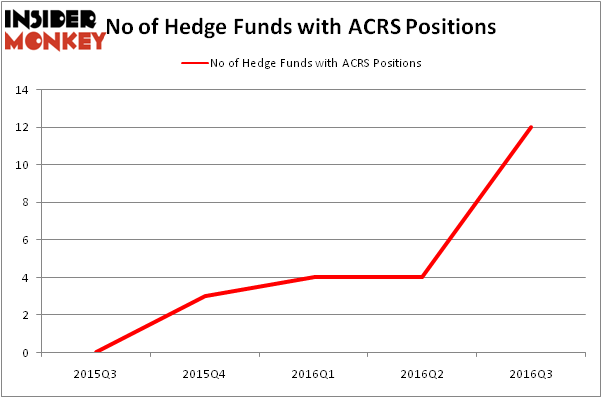 There were 4 hedge funds in our database with ACRS positions at the end of the previous quarter. At the end of this article we will also compare ACRS to other stocks including Otonomy Inc (NASDAQ:OTIC), Titan International Inc (NYSE:TWI), and ConnectOne Bancorp Inc (NASDAQ:CNOB) to get a better sense of its popularity. 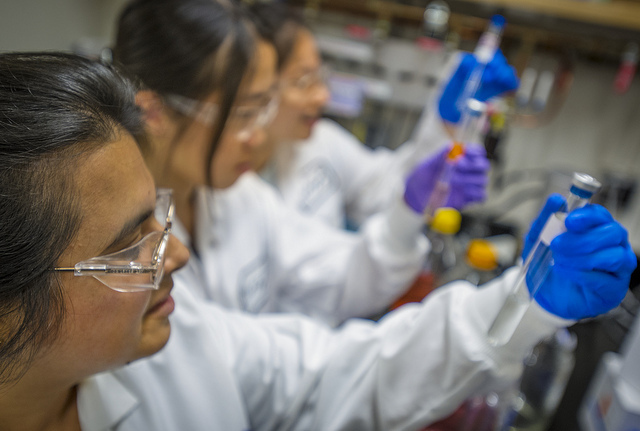 Follow Aclaris Therapeutics Inc.Follow Aclaris Therapeutics Inc.
With all of this in mind, let’s analyze the key action surrounding Aclaris Therapeutics Inc (NASDAQ:ACRS). What have hedge funds been doing with Aclaris Therapeutics Inc (NASDAQ:ACRS)? Heading into the fourth quarter of 2016, a total of 12 of the hedge funds tracked by Insider Monkey held long positions in this stock, a massive jump of 200% from the previous quarter. By comparison, 3 hedge funds held shares or bullish call options in ACRS heading into this year. With hedge funds’ positions undergoing their usual ebb and flow, there exists a select group of noteworthy hedge fund managers who were increasing their holdings significantly (or already accumulated large positions). According to Insider Monkey’s hedge fund database, Peter Kolchinsky’s RA Capital Management has the biggest position in Aclaris Therapeutics Inc (NASDAQ:ACRS), worth close to $39.6 million, comprising 4.1% of its total 13F portfolio. Coming in second is Rock Springs Capital Management, led by Kris Jenner, Gordon Bussard, Graham McPhail, holding a $26 million position; the fund has 1.6% of its 13F portfolio invested in the stock. Some other hedge funds and institutional investors that are bullish consist of Bihua Chen’s Cormorant Asset Management, Joseph Edelman’s Perceptive Advisors and Richard Driehaus’s Driehaus Capital. We should note that none of these hedge funds are among our list of the 100 best performing hedge funds which is based on the performance of their 13F long positions in non-microcap stocks. Is B2Gold Corp (BTG) A Good Stock To Buy? Is CAE, Inc. (USA) (CAE) A Good Stock To Buy Right Now? How Bridgepoint Education Inc (BPI) Stacks Up Against Its Peers How BOK Financial Corporation (BOKF) Stacks Up Against Its Peers Do Hedge Funds Love Sterling Bancorp (STL)? Is Super Micro Computer, Inc. (SMCI) a Good Stock to Buy?